Windcrest Cosmetic Dentistry can restore your Dental Implants in San Antonio! Dental implants have been proven to be the most effective restorative method for teeth. The process in its entirety involves several dental appointments, with the dedication of the dentist and the patient being a crucial part of the procedure. 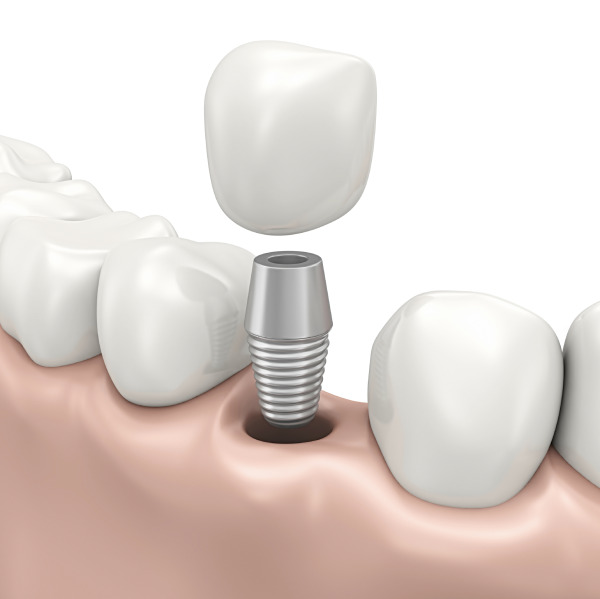 The final step in the completion of dental implants is the restoration or placement of an artificial crown or bridge on top of the titanium implant. In their San Antonio dental office, Dr. Craig Wright and Dr. Andy De la Garza create, customize, and place the crown or bridge that will finish your implant procedure. A dental implant restoration refers to the placement of a ceramic crown or bridge on top of the titanium implant that has already been placed and fused into the jaw bone. A single tooth replacement will receive one artificial crown and an implant procedure that replaces multiple teeth will receive a bridge that hinges to the titanium implants. Once the titanium implant has been placed into the jaw bone, a healing period of two to six weeks will take place, which allows the jaw bone tissue to fuse with the dental implant. During this time, a temporary restoration can be used so that the area of the jaw remains functional. Afterward, an abutment is placed that completes the foundation of the implant, followed by another short healing period. Your dental implant procedure is completed with a digital impression that is taken and used to design your artificial crown. Once the crown has been crafted, it is placed, fitted, and cemented into place. The result is a seamless and fully functional set of teeth that will last for years to come. Dr. Craig Wright and Dr. Andy De la Garza place and restore dental implants in San Antonio, creating natural-looking smiles that will make you forget you ever lost a tooth. For more information about dental implants or to schedule a consultation, contact Windcrest Cosmetic Dentistry today!